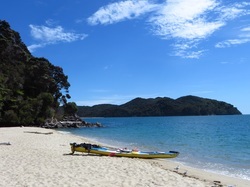 For those that have the time, there is nothing more relaxing than 5 days exploring the Abel Tasman coast track. 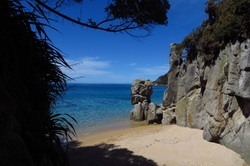 We begin the walk in Wainui and take our time to walk the entire length of the track, so we can fully appreciate all the sights and experiences the Abel Tasman has to offer. 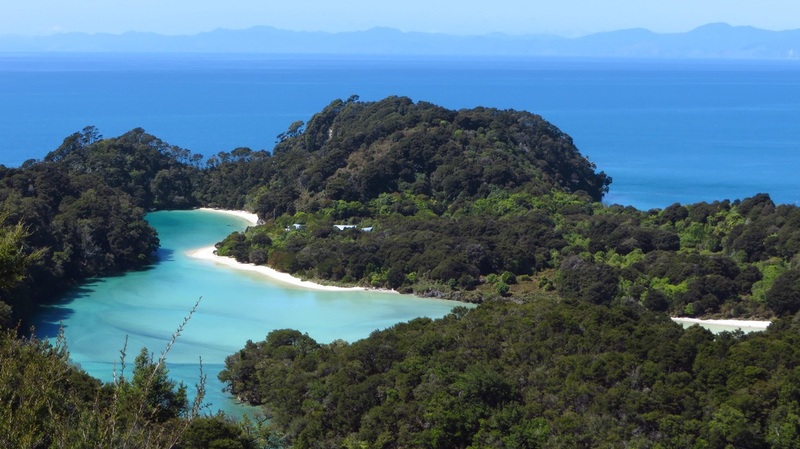 With your luggage transferred by boat and your meals lovingly prepared, all you need are some comfortable walking shoes and a day pack and you are ready to explore the Abel Tasman with us! We pick you up in Takaka 8.30am. 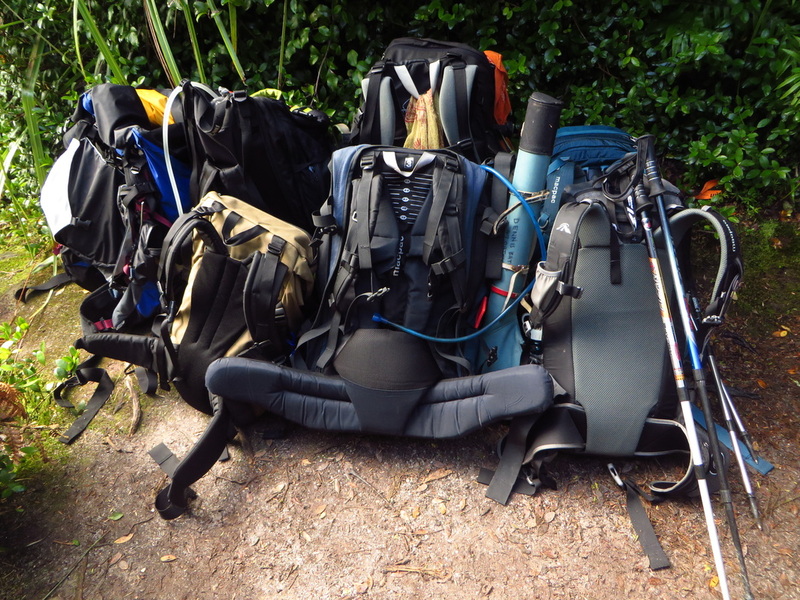 As this is a short day (only 2 hrs walking), we like to take this opportunity to take you to Wainui Falls before we enjoy our picnic lunch and then begin the track. 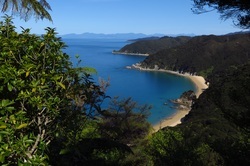 We start with a gentle climb to the top of the Wharawharangi saddle, with magnificent views overlooking Wainui Bay, before dropping down to the Wharawharangi (DOC) Hut. This historic hut used to be an old farm homestead and has been renovated beautifully. It is a delight to stay in. The coastline between Wharawharangi and Totaranui is incredibly peaceful. With fewer people in this end of the park, there is a wonderful quietness that prevails. Depending on the timing of low tide, we either walk across the estuary to Awaroa, or catch the afternoon water taxi from Totaranui. Here in Awaroa we enjoy an evening with other trampers in the Department of Conservation (DOC) hut. 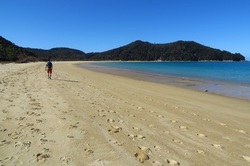 The walk to from Awaroa to Bark Bay is a favourite for many. As the track climbs over the Awaroa headland, one gets superb views of the expansive Awaroa estuary below. The golden sands of the Onetahuti Beach are a delight to walk along and the historic Tonga Quarry makes for an interesting stop along the way. We spend the evening in Bark Bay hut. 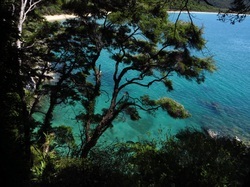 One of the classic pictures one sees of the Abel Tasman is looking down into the sparkling turquoise waters of Frenchman's Bay from the track between Bark Bay and Torrent Bay. The long wooden swing bridge over the Falls River is also a highlight for many on this walk. We enjoy an early lunch at Torrent Bay before taking the lovely walk around the estuary's perimeter. Once we arrive in Anchorage we board the Aquapacker, our floating accommodation for the evening. Once on board we can sit back and relax with a drink, and enjoy a tasty BBQ for our evening meal.